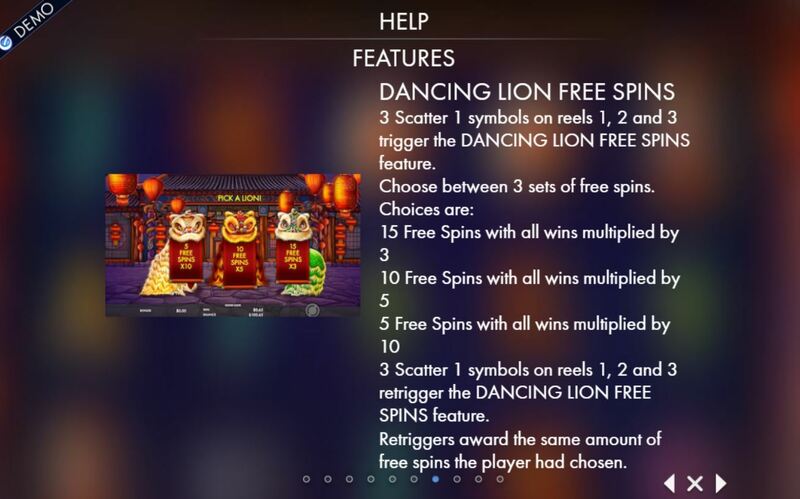 Lion Dance Festival slot an Oriental themed Genesis Gaming 243 way slot and unusual for that developer in the fact it has 2 features! All symbols are singles and Wilds appear on reels 2, 3 and 4 with no multiplier. 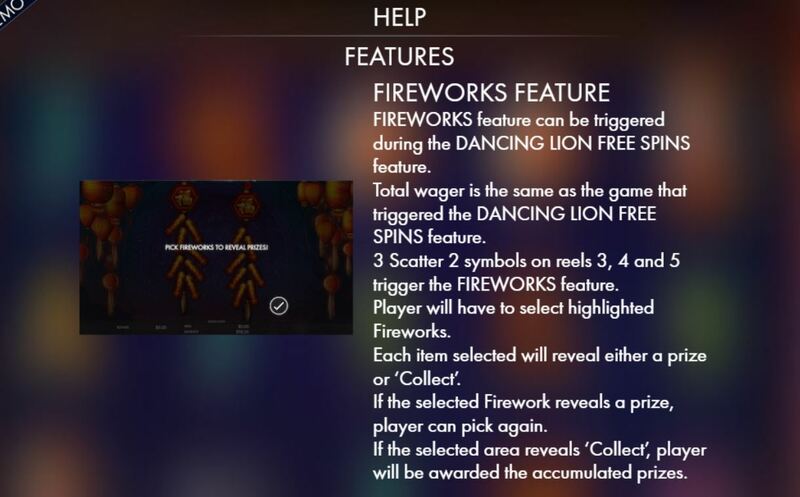 Three firework scatters on reels 1, 2 and 3 start a free spins bonus, awarding a choice of multipliers and spins, similar to WMS’s Wishing You Fortune slot. You can choose 15@3x or 10@5x or 5@10x if you’re brave. They can be retriggered too. 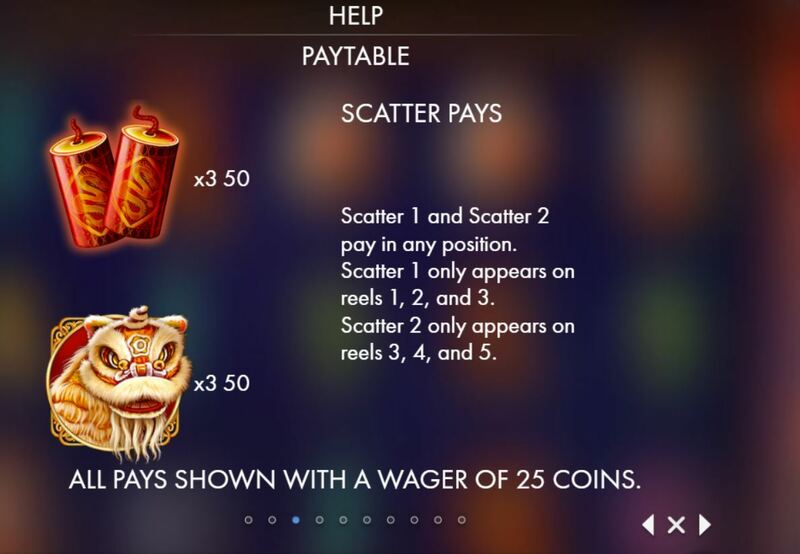 Three Dragon scatters on reels 3, 4 and 5 trigger a picks feature with fireworks to let off for cash until you choose a collect tile. 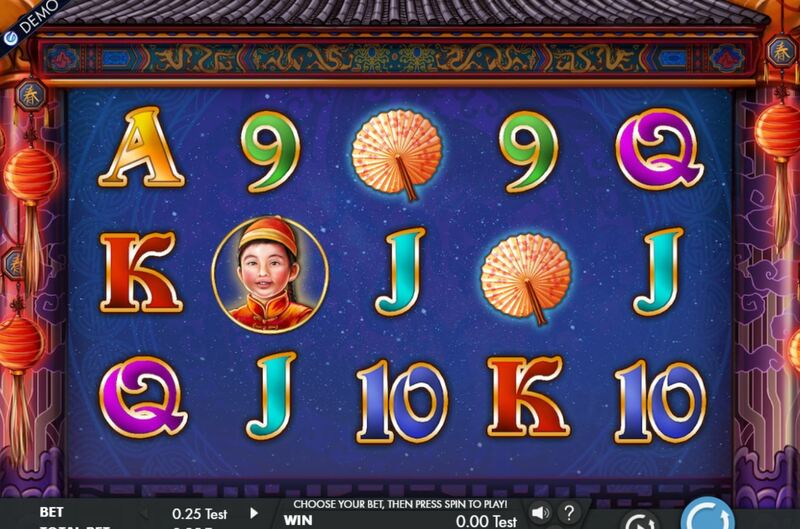 This can occur during free spins too. RTP is 97.24%.